Positive Hypnosis, Self-Hypnosis, Acupressure Hypnosis, EFT, NLP, Past Life Regression, Birth Mix Pattern Education using Astrology, Numerology, Birth Order, Content (Writing) Coaching (oral story-sharing to paper) in Asheville (NC) area (serving Asheville, Hendersonville, Weaverville, Waynesville, and outer lying areas). Michelle Payton mind over matter practice is to encourage visualization of inspiration experiences revealing how and why you move in particular directions. She facilitates re-framing ideas by using techniques to find memories of success to collapse unproductive patterns, and this interrupts anchored patterns that are no longer useful. Michelle customizes her sessions to fit her clients’ needs; therefore, most sessions are a combination of techniques (unless otherwise discussed) using Positive Hypnosis, Self-Hypnosis, Acupressure Hypnosis, Past Life Regression (if appropriate), Emotional Freedom Technique (EFT), Neuro-Linguistic Programming (NLP), personality traits connected with Astrology, Numerology, Birth Order (if requested), and Writing. Clients rebuild skills with eyes open or eyes closed, may write, may verbalize, but homework (post-session) includes independent self-facilitation. Note that people who are emotionally or physically frail, qualified health professionals should be consulted before using ANY wholistic integrative procedures. 48 business hours prior to appointments, two forms — Client Intake and Informed Consent (customarily emailed) — must be completed. Expect sessions to, generally, last two hours totaling between $120 (minimum) – $240 (equates to $60-$120 per hour). What does $120-$240 mean for a fee? Michelle has a Pay It Forward (Sliding Scale) philosophy. Those who can pay $240, pay $240. Those who can pay $133, 142, 155, 167… pay that then Pay It Forward in other ways (kind to others, volunteer work…). This is the client’s decision. A percentage of all funds generated for Private Sessions and Workshops go to local Asheville/WNC charities. Crystal Visions Books and Gifts lies between Asheville and Hendersonville, just south of Fletcher, at 5426 Asheville Highway, aka US 25 — 1/2 mile South of exit 44 off Highway I-26; We are just 4 miles from the Asheville/Hendersonville airport at I-26 exit 40. The actual address for entering into your GPS is 5426 Asheville Highway, Hendersonville, NC 28791. From Asheville and points north: take I-26 East, exit at the Fletcher/Mt. Home exit, #44, turn right and we’re just 1/2 mile on your left. Or, take Hendersonville Road, aka US 25, South from Asheville, cross I-26 just below Fletcher, and we’re 1/2 mile on your left. From Hendersonville and points south: take I-26 west, exit at the Fletcher/Mt. Home exit, #44, turn left and we’re just 1/2 mile on your left. Or, take Asheville Highway, aka US 25, and just beyond Mountain Home (before Fletcher), we’re on the right, just 1/2 mile south of the I-26 interchange. Asheville, North Carolina area in person. Phone availability world-wide. Call or email with questions. Michelle’s most widely used session, due to its flexibility, can combine Positive Hypnosis, Self-Hypnosis, Acupressure Hypnosis, Past Life Regression (combined with current life), Emotional Freedom Technique (EFT), Neuro-Linguistic Programming (NLP), and personality traits connected with Astrology, Numerology, Birth Order (when client is interested). Sessions last, usually, two hours. See Terms and Definitions for more information on the various mind over matter modalities used and terminology. This is a solution-based format combining positive memories using Hypnosis or Self-Hypnosis, Neuro-linguistic Programming anchoring, and related mind-over-matter concepts. The order, or protocol, of this practice is entrenched in the understanding that the brain learns through re-association of past experiences (no experience is exactly the same per person). When learning is held hostage, simple ways to manipulate brain mechanics (I use the word manipulate in the most positive sense) will be reviewed with the objective of effectively completing a productive learning cycle. This process taps into the science of how the brain learns/re-learns, the science of gratitude, and self-gratitude. This is about the power of remembering versus the power of suggestion; this is about the power of re-using what has positively served one in the past to collapse unwanted patterns and mindsets. There are countless people that are certain that they don’t have any constructive memories, but it’s the small experiences (sometimes mere seconds) that can be re-used to re-habit productive patterns. For instance, 70 to 80% of the time spent with clients in any given session is re-finding memories that are the opposite of the problem they want to address. What is meant by this is, for example, if a client is having difficulties with certain types of relationships then the memories that are gathered, initially, are moments experienced in past successful relationships. By the end of a session, negative patterns are revisited and collapsed to some degree as a result of re-knowing the positive. Expect to learn about how the brain learns and why blocks occur in a healthy brain (viewing http://michellepayton.com/hypnosis-nlp-brain-works-physiology/ is a requirement pre-session). In addition, expect clarity on why re-association is a key to individual re-thinking and re-framing. Information is shared on how Positive Hypnosis, Self-Hypnosis and Neuro-linguistic Programming are experienced every day to dispel the woo woo perception of being controlled, and quack-like-a-duck-on-stage misconceptions. Information on how to collect and re-use memories for problem-solving will be covered, how to self-facilitate this process, plus methods on how to remain focused on one core need at a time is used for the best results. – is available to clients via email and phone for follow-up questions (on the specific information from a session). Individual questions can be addressed over the phone or email on how these pieces fit together. Said in another way, can I visualize effectively, rebuild a memory, or be hypnotized? First know that we repeat patterns and habits (involuntary self-hypnosis, in essence) all day long as we walk, drive, cook, eat, shop, shower, garden, work-out, smoke through life in a trance like state and call it reality. Hypnosis (with a facilitator) and Self-Hypnosis (with or without a facilitator) is the similar as a session is spent remembering in more detail, reframing experiences, and recreating perceptions to manifest a more successful (by your standards) life. Is my problem resolved at the end of two hours? Multiple sessions are not required, but are possible if another issue is being addressed. It is common to feel more comfortable with the situation (core need) that was focused on during a session and Michelle is available for questions on items that were worked on in a session for no additional charge (email or phone). See, also, Is my problem resolved at the end of two hours? No. It isn’t possible to record what is going on in one’s head (it’s common that much of the time is spent remembering without speaking). However, Michelle sends an email following a session as a reminder of anchors recorded per experience and goals reached to reapply learning. Phone work is usually only used with Birth Mix Patterns and mentoring sessions. Some clients have had successful visualizations while working via phone, but Michelle is more of an eye-to-eye professional. Emotional Freedom Technique is a way to neutralize the emotional charge to unproductive memories that block you from enjoying life. This is accomplished through tapping on the body (a form of acupressure) with the idea to balance your meridians. 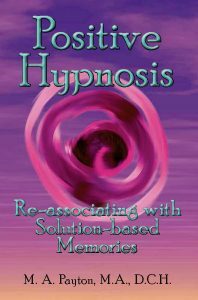 This is done in conjunction with Positive Hypnosis techniques and focuses on one core issue. Acupressure Hypnosis is usually a part of this process (reframing how areas of the body react to certain emotional experiences to reset duress to zero), as is other mind over matter techiques. On phone or in person. Printed reports for astrology and numerology are available. Michelle has done extensive work with groups (love interests, family dynamics, work relationships…), as well as individuals. Consults have even extended to looking at the number and street addresses of houses under consideration to purchase and how this mixed with life partner, room-mate, family members’ birth mix personality traits. Who are you? What do others know or perceive about you that you might not see? Why do you do what you do? How, when and where can you use your Birth mix baseline–birth date and order—to identify your life purpose? Michelle answers this utilizing Numerology, Astrology, Birth Order (and you may be surprised at your true birth order!). She has worked nationwide with thousands of people on individual and group levels to gain a clearer understanding of personal patterns. – Create awareness of why certain areas of like are in or out of balance. – Be utilized to how you approach financial matters, relationships, fun, career, learning, nurture the physical body, develop habits. Michelle’s role is not to tell your future, but to provide information for you to determine your own. In person, consumer has option to bring personal recorder and tape. While holding the vision that all tape recordings work this cannot be guaranteed, so please take good notes for reference as well. Via phone, recording can be included and downloaded via mp3. On phone or in person. Some clients ask to dig more deeply into information by running numbers on business names, home addresses and how they fit with their personalities, creating additional strategies that extend from their Positive Hypnosis sessions, plus. Recording can be included and downloaded via mp3, but cannot be guaranteed (so, please take good notes). Michelle offers one-on-one coaching in oral story-sharing and writing. In academic settings standard structure, grammar, spelling, and punctuation are keys to writing success, but what if no words are on paper? Michelle’s philosophy is if you can think and speak (create meaning with verbal and non-verbal communication) then you can write. She combines her training in facilitating relaxed states and visualization (self-hypnosis/hypnosis), her professional writing of 7 books, academic graduate work in English, and undergraduate in Communication Arts to fill pages with vibrant text. Expect in-the-moment sensory coaching as you share a piece(s) of your story (something that you are currently working on, have a goal to develop, want to explore ideas, or simply want to write for well-being) aloud, you might record it (depending on your goals), transcribe to learn more about natural written voice, silent write, and compare and contrast styles to understand how you can consistently create your unique voice. You will also come to know how you learn and process to further develop and massage your work. While the polish phase of writing is important, Michelle’s concept of “natural pause grammar” (which you will learn to personalize to your own style) will keep you from getting bogged down by standard structure to keep your pencil moving. Very experienced to no experience, you only have to be interested in getting your story on paper (whether personal or professional). Bring a writing instrument, notebook and recording device (cell phone recording is fine). The first session trains you on the process. Follow-up sessions will focus on sensory coaching to create page after page after page of your story. For more information on Michelle’s teaching philosophy and her CV see www.MichellePaytonWriter.com. In essence, anchors are perceptions. An anchor is a current belief that is connected to a person, place or thing. A simple example is when a child falls, but is not injured; the reaction or anchor re-associates with “I’m hurt” now cry. If a parent kisses the knee to reframe the perception or anchor, the child stops crying once the knee is kissed. Breaking down a habit that no longer serves a positive need. A theme that must play out in a person’s life to create fulfillment. Releasing negative emotional charges by tapping on specific nerve ending areas on the body to reframe mind/body perceptions. Finding experiences in connection with the past, present and future while the mind is in a relaxed state. This can be accomplished with eyes open or closed. Using oral storysharing, journaling, natural written voice, descriptive work using multiple senses (seeing, hearing, tasting, smelling, tactile or touching), and reading for mind/body focus, professional development, and scientific observation (Michelle’s book Writing Sensorably provides more details). Releasing negative emotional charges by tapping on specific nerve ending areas on the body to reframe mind/body perceptions. Michelle’s book Healing What’s Real provides more details, as well her EFT video found on this website. One, of many, reframing techniques, and includes phrases “I’m sorry, Please forgive me, I love you, Thank you” to interrupt patterns. Recollecting memories to build willpower to overcome problems. Action taken. The motor movement is a physical decision to either move or not move (even a decision to not move is an action). A model that connects the relationships between successful patterns of behavior and personal experiences. Connections are made to all levels of communication to enhance recall of personal experiences—verbally (which is less than 10% of what is truly being communicated) and non-verbally (tonality and body language being more than 90% of communication). Also see “Anchors.” NLP is used in every session. A story or events spoken, written, or visualized. Incarnations that are re-accessed through visualization. 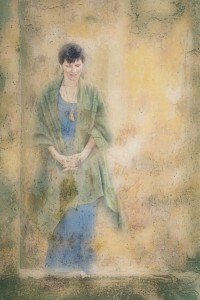 These incarnations are places in history recalled that can be true past lives that have been experienced by those visualizing, familial memories that have been buried in the visualizers’ DNA (stories told by family, or information patterns are simply buried in DNA), or they are places in history that create vibrant enough narratives to have emotional charges. A structure that aids in recalling positive memories (or re-associating) to problem-solve. This works on the premise that people (with healthy human brains) hold the internal key to re-knowing how to achieve their personal well-being. Recalling past experiences that contribute to thinking on the bright side of life. A grading system. A hierarchy. Thoughts stored in the brain. Re-using memories found in the subconscious that form positive habits. Fulfillment of one’s needs or expectations. Performing alone. Self-organizing technical processes. Imitate or produce a performance. Finding encouraging experiences to create constructive life strategies. Michelle Payton is a member of the National Board of Professional and Ethical Standards, has fulfilled mastery requirements for the Society of Neuro-Linguistic Programming™, and is an active member and founder of the Asheville Area Wholistic & Integrative Professionals. Go to the “Education” drop-down menu, then “Classes & Events” for more information. go to the “Books” drop-down menu, then select any one of her 9 books.